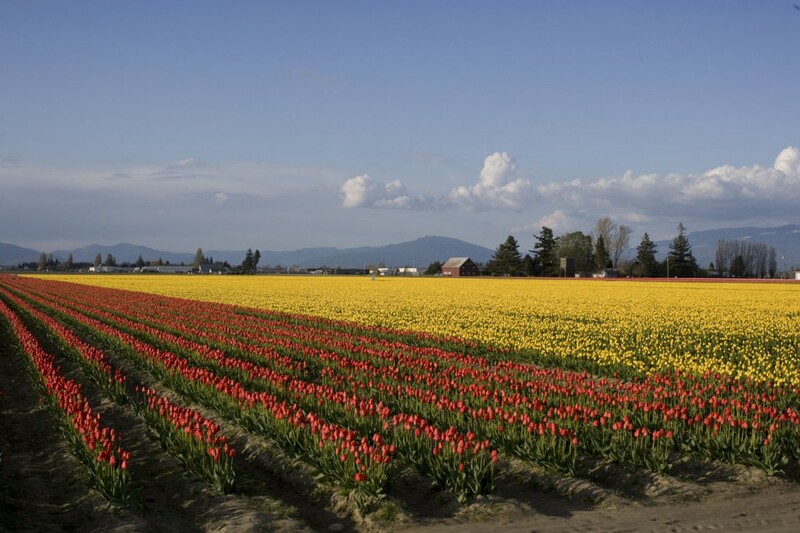 I was sent these photos of tulip season in Skagit County, Washington (USA). I don’t know if it was the sender’s intention, but the photos sure make me homesick for the Pacific Northwest of the US. This is a normal spring view in Mount Vernon, WA. A view that even locals know better than to take for granted. Photos by Gary Brown, a great supporter of the arts in Skagit County. I stumbled across your website when researching Cirque composers. I am a student at Musicians Institute LA, and i have been invited to audition with cirque here in LA next tuesday. I am a keyboardist and guitarist (acc/elect) and was wondering whether you had any tips regarding how to make the best impression at the audition. I have picked 2 pieces on keys and one of guitar, as well as a piece of my choice. I love the cirques music, feeling and message and i dearly hope to give the best performance that i can possibly give at the audition. In early December 2007 I had let go of all but one of my posts in preparation of leaving to work for Cirque Du Soleil. I received notice at the beginning of December that my date to join Cirque had been moved to three weeks later so I had some time on my hands. My last job I still retained was music director at Mount Vernon Presbyterian Church in Mount Vernon, WA. I wanted to do something with my newfound free time; so decided to do something crazy that I had always wanted to do: To write a complete orchestral and choral work in one week like JS Bach used to do for his weekly church services. My last service for the church was Christmas Eve 2007 so I decided to write a Gloria for presentation at the evening Christmas Eve service. Sondheim says you can not make an audience like something, but they have to understand the intention. Preview performances focused on making things clear to the audience.